The 2015 Honda CR-Z used is the perfect pairing of a sporty, fun vehicle and an eco-friendly hybrid. 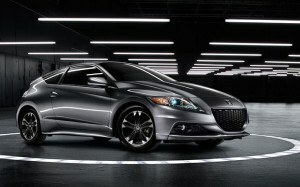 When you want power and excitement behind the wheel without breaking the bank on gas, the Honda CR-Z is for you. This two-seater vehicle is one of the only hybrid vehicles sold with a six-speed manual transmission. Behind the hatchback hides a significant amount of cargo room, with a retractable cover to protect your goods. Additionally, long-legged passengers need not worry in this small car, as the CR-Z offers plenty of legroom for maximum comfort. This vehicle has quickly become a popular choice among young, solo drivers looking for an exciting ride. We are actively attempting to source used 2015 Honda CR-Z models. Please fill out the form below and we will find one for you.